by Matthew Dornquast, CEO, Code 42 Software, developers of CrashPlan and CrashPlan PRO,award-winning backup software for home and business. SMBs are always looking for ways to save resources and space while also protecting their data and ensuring that it’s always accessible – a big reason why more are considering cloud data backup services. Giving SMBs access to the same technology experts and economies of scale as large enterprises without the upfront capital investment of physical storage solutions, not only levels the IT playing field, but enables them to compete in the global competition against international enterprises. However, despite the many cited reasons for companies to switch over to cloud based backup and the multiple options available, some SMBs are still wary of the technology because of its unknown tradeoffs. Matthew Dornquast, CEO of Code 42 Software, developers of CrashPlan and CrashPlan PRO, backup solutions (onsite, offsite and online) for home and business – analyzes the pros and cons of using cloud backup and recovery in order for SMBs to understand whether it is right for them. Seeding data and full recovery - Depending on the total capacity of data, the first full backup and/or full recovery of site data could prove to be a bit time-consuming. Control– One of the biggest concerns is the perceived loss of control over data once it’s outside the company’s facilities. To lessen control problems, you should have a contract with a solid service-level agreement (SLA). Bandwidth- The business needs enough capacity to transfer files to and from the business location and the data backup service provider. Discontinuation of the service - Termination or early-withdrawal fees, cancellation notification, and data extraction are just a few of the factors to be considered before signing with a provider. Cost - Pricing of cloud storage is almost always lower than setting up your own IT infrastructure. 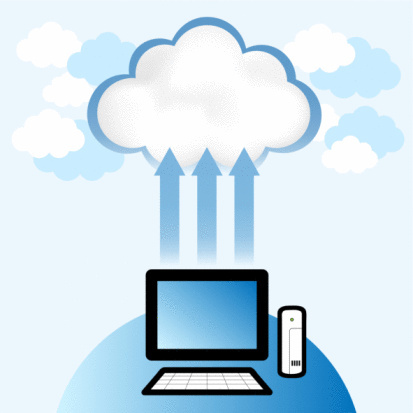 However, it is advisable to make an actual cost comparison for maintaining your own vs. using cloud storage. Maintenance & Administration– After the first full backup, most of the requirements for maintenance and administration become someone else’s responsibility since the data is stored off-site, making it convenient for SMBs. Scalability– Simply buy additional capacity as your business grows, which means you need a lot less excess capacity in your data storage system. Security– When done right, cloud backup can be more secure than storing data on a company’s own servers, as storage at a remote site in the cloud avoids problems with a local disaster such as a fire, flood, or criminal wiping out all of your stored data. From a business standpoint, there is no way most SMBs could afford to upgrade security technology as frequently as needed, but if you’re a cloud backup provider you can’t afford not to upgrade it - as you’ll be out of business if you don’t.